Ahoy! A four-mast luxury tall ship will now feature prominently on the skyline of Singapore’s southern harbour precinct, as the Royal Albatross berthed at its new home at Resorts World Sentosa (RWS). 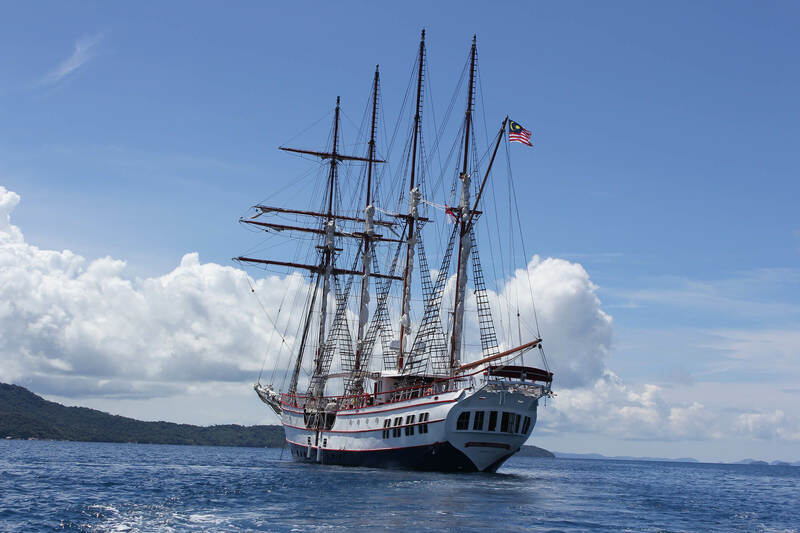 A 47-metre long tall ship and the first based in Singapore, the Royal Albatross will be the only luxury tall ship for charter in Asia and is expected to begin service by the middle of 2014. While tall ships worldwide are largely used for cruising or cadet training, the Royal Albatross is specially designed for luxury corporate and private charter, as well as dockside events. With its distinct large, traditionally-rigged sails and 60,000 LED lights for night illumination, the vessel will add to the integrated resort’s skyline. The Royal Albatross is designed for event planners, MICE organisers or even high net worth individuals the opportunity to create experiences on a scale unlike any other, giving their guests something to remember and talk about after they disembark. “We couldn’t have found a better partner and prominent location to showcase our luxury tall ship, the Royal Albatross. The management and the operations team of RWS has made it possible for everyone in Singapore and its millions of visitors to view the Royal Albatross up close. This is particularly exciting, given Asia’s influence in the MICE event space. We’ve taken our time to find a great partner that understands Asia and most importantly, one that matches our drive, passion and aspiration.” added Mr Pela. More than 360,000 man hours were invested in redesigning and refitting the ship. With spacious cabins below deck for overnight charters and customisable layouts on deck, a myriad of events can be tailored to meet the needs of clients.